Late last year, Surly announced they were producing steel porteur style racks which were capable of carrying a 15kg load. Although the racks only mount to Surly forks, they were pretty well received by folks who weren’t keen on panniers but still wanted to carry a decent load. 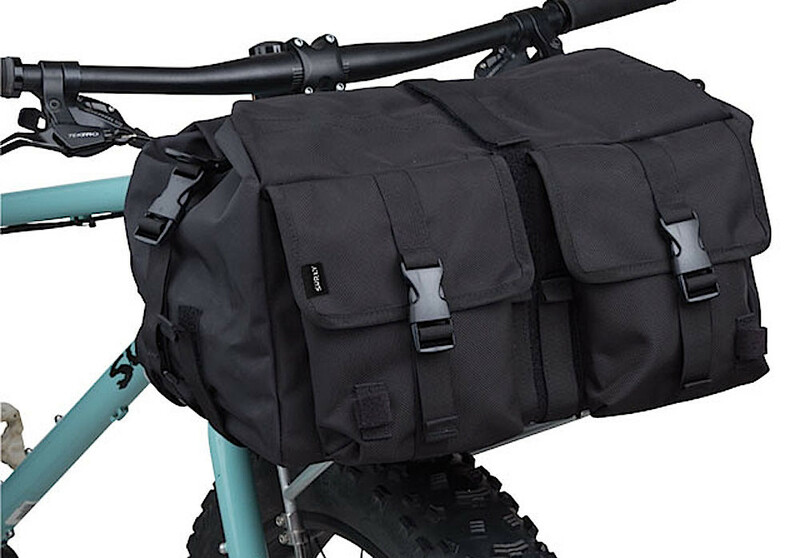 Surly have now dropped a new bag to match their 24-Pack rack, called the Porteur House. 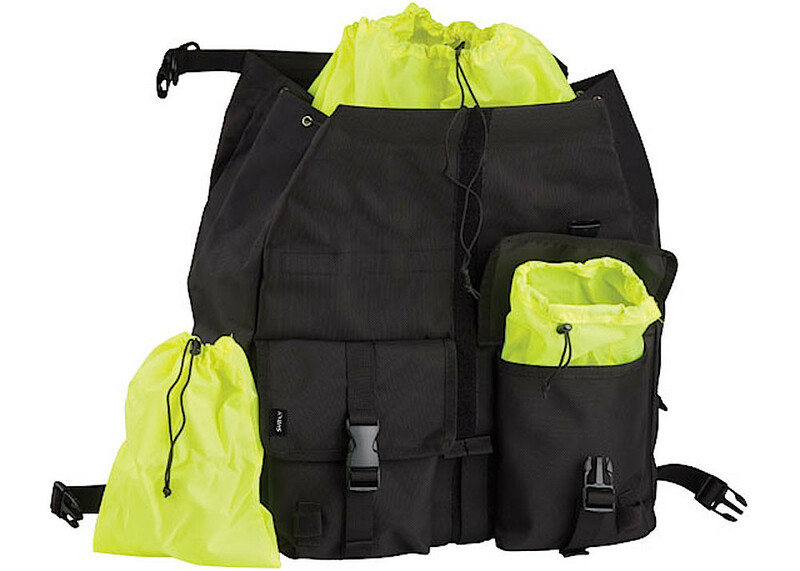 This roll-top bag measures in at 450 x 400 x 270mm which calculates to be around 43 litres before cinching it in – that’s bigger than a single pannier, and is getting close to the capacity of two! It’s made from a nylon canvas which has received a PU coating to make it a bit more water resistant. 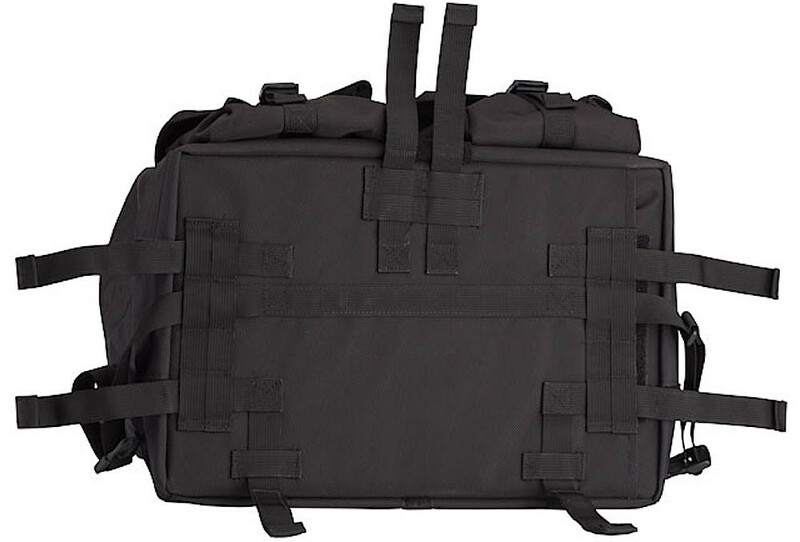 A reinforced insert at the bag’s base gives it shape, and protects your gear from the elements. Eight Velcro straps hold the bag onto the 24-Pack rack, in the process allowing this bag to fit more than just Surly’s rack. Two front pockets allow you to stash and then access your essentials quickly. The Porteur House comes with three fluro nylon stuff sacks to protect your gear in each compartment that little bit more. With a 15kg load, the Porteur system will affect your bike’s handling more than other forms of front baggage due to its higher centre of gravity than, say, a set of low-riding panniers. 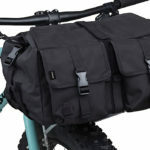 Other disadvantages include the bag not being 100% waterproof, the fact that the bag interferes with drop handlebars and possibly even the velcro mounting system in the long term. The Surly Porteur House retails for US $120. Matching it to a Surly 24-Pack rack will add US $150. Alternative products to this front porteur bag include the Swift Industries Polaris (20L), Freight Bags Porteur (19L) and the Chrome Duffle (40L).